The Fairfield Inn & Suites by Marriott Alamo Plaza / Convention Center hotel is located next to the historic Alamo and is only two blocks away from the San Antonio River Walk. We offer microwaves and mini refrigerators in all of our guest rooms and suites. 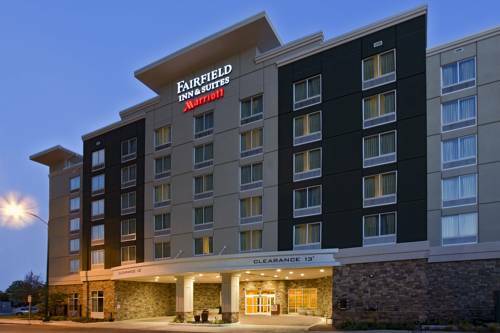 Fairfield Inn & Suites by Marriott gives you just what you need and skipping what you don't want, so travel is uncomplicated and productive. The Fairfield Inn & Suites Alamo Plaza offers a complimentary Hot breakfast, complimentary Wi-Fi throughout the hotel, business center, 24/7 Market, on-site fitness center, outdoor heated pool and whirlpool. At the Fairfield Inn & Suites San Antonio, you're our #1 priority. We promise you'll be satisfied, or we'll make it right. That's our commitment to you. Ask us about The Fairfield 100% Guarantee. ~8 miles from San Antonio. ~27 miles from San Antonio.